Speed Devil 1 can be harvested 8 weeks after germination and rarely exceeds 80cm height - perfect for smaller grow spaces. 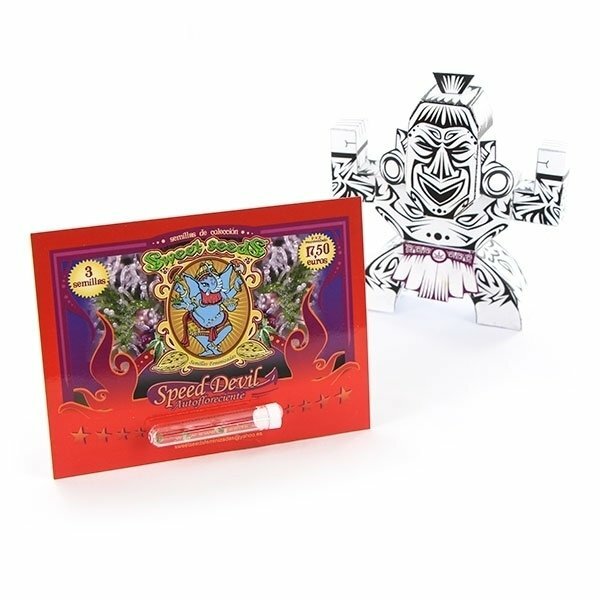 Speed Devil #1 produces up to 450g/m² of high quality marijuana with a sweet aroma, with hints of cheese and yeast. The end product boasts with a THC level of 15%. Speed Devil #1 (feminized) by Sweet Seeds has been created by selective inbreeding, back-breeding and breeding to improve upon perfection. The result is a beginner friendly, fast finishing strain that reaches its maximum height of 80cm within only 8 weeks after sowing - too fast for mold or fungi to harm your green devil. 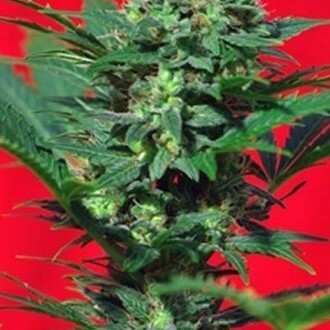 Speed Devil #1 by Sweet Seeds is a good yielder - prepare to reap 450g/m² or 50g/plant of very potent, resin coated marijuana. Speed Devil #1 by Sweet Seeds combines the very best Indica, Sativa and Ruderalis genetics and hence the high is both extremely cerebral and intensely narcotic. The weed of Speed Devil #1 boasts with a nice chemical mix - 15% THC and 1.2% CBD - which makes it suitable for medicinal use.